To pay RENEWAL FEES, include MEMBER’s FULL NAME (as listed on certificate or membership card), MEMBERSHIP NUMBER AND INVOICE NUMBER on the check or money order. Include a copy of the invoice and be sure to affix the requisite amount of postage to ensure prompt delivery to the IIC. Renewal payments posted with the United States should expect to be delivered within 3-5 days. 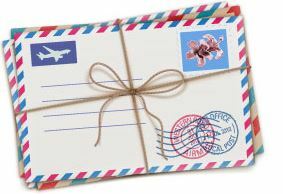 International payments by mail may take substantially longer, so plan to have your annual feels mailed ahead of the anniversary of your membership into the IIC or the expiration date noted on your membership card. Note that members will be terminated after 90 days past due based on non-renewal.